Vineyard Haven in the town of Tisbury on Martha’s Vineyard was ranked No. 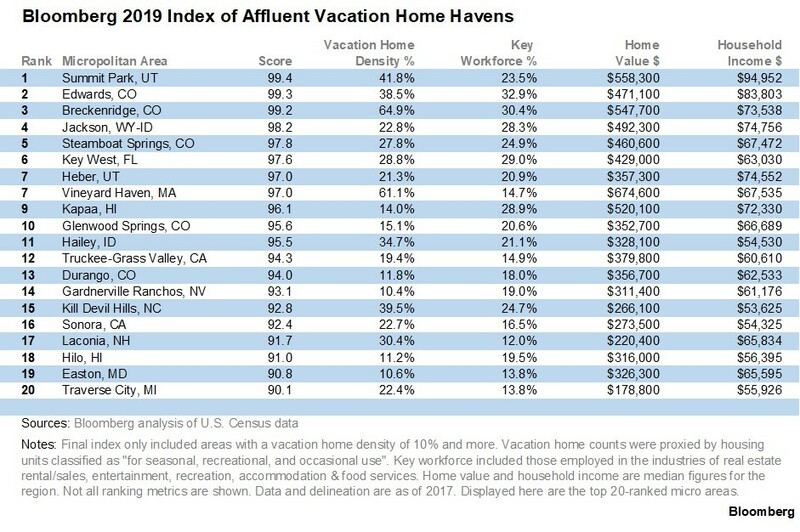 7 in Bloomberg’s 2019 Top 20 Best Place to Own a Vacation Home, as determined by its Index of Affluent Vacation Home Havens. 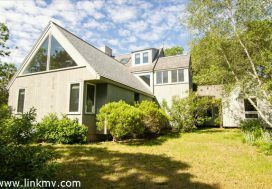 Vineyard Haven was tied with Heber, Utah (home to the private mountain community of Red Ledges) and ranked just ahead of Kapaa on the island of Kauai, Hawaii. 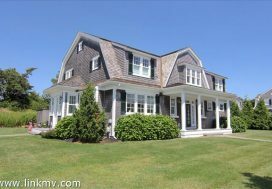 Vineyard Haven, which features enclaves of luxury homes in West Chop, Mink Meadows, Stonegate, Lake Tashmoo, town center and areas overlooking the harbor, was the No. 1 town for highest median-home price at $674,600. According to the article posted on the Bloomberg site, its researchers looked for small pockets of wealth in more than 500 areas across four equally weighted metrics: vacation home stock, share of the workforce employed in real estate and recreation-related industries, home valuations and household income. The final index was comprised of 70 micropolitan statistical areas. A micropolitan statistical area, says Bloomberg, includes one main urban center with a population of at least 10,000 but fewer than 50,000 people, at least one county and all designated hamlets, villages and townships. Vineyard Haven is one of three ‘down-island’ towns on the 100-square-mile island of Martha’s Vineyard which is located off the coast of Cape Cod. There are also three ‘upisland’ towns. 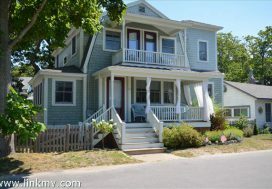 Learn more about Vineyard Haven here. Subscribers to the Bloomberg terminal can gain access the full data set on their computers. Vineyard Haven in the town of Tisbury on Martha’s Vineyard was ranked No. 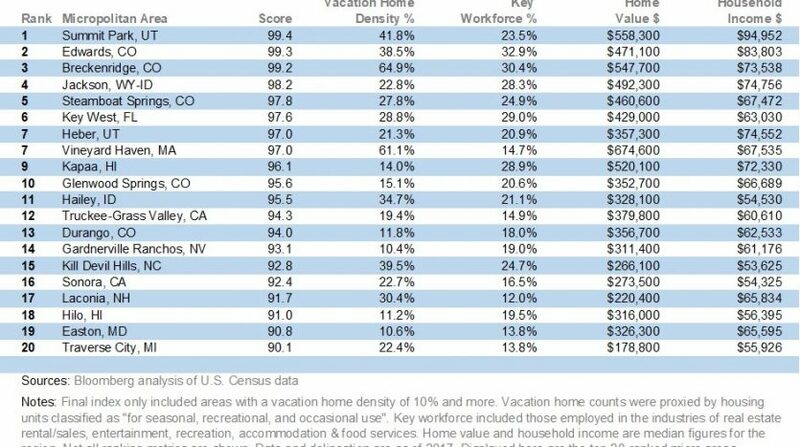 7 in Bloomberg’s 2019 Top 20 Best Place to Own a Vacation Home, as determined by its Index of Affluent Vacation Home Havens. Vineyard Haven was also No. 1 in median cost for a home.